A debut sci-fi novel focuses on a powerful corporation and its dark quest for control. Judging by his serious demeanor and his ability to wash Tylenol down with whiskey, Jonathan Romero might seem like any stressed businessman. The company he works for, however, is far from ordinary. With origins that date back to Colonial times and resources that include an immense collection of “occult and philosophical treasures,” the Strand Corporation of Philadelphia engages in activities that even the most morally bankrupt executive might find shocking. Working to steal ideas, patent them, and sell the rights, the company has come a long way from its founding principles. As Romero reflects, rather sourly (particularly as he is suffering from a brain tumor), “The founding fathers of The Strand Society would turn over in their graves if they were to observe the travesty built upon their ideals.” Utilizing people called “Conductors” for “hacking dreams” and a beautiful, H.R. Giger–loving assassin named Macaria to eliminate any threats, Strand has quite the method to its madness. Meanwhile, a writer named Blake William garners the attention of the company, particularly after a former Strand employee named Alex Tannersly (an ex-Conductor whom the corporation has been “hunting” ever since he left) attempts to contact him. William commands success as a writer but he fears he might be losing his mind. What does someone like Alex want with William? Dense with explanation, there is a lot for the reader to absorb. No sooner is Romero finishing his Tylenol than Conductors and a Watcher are being discussed and Macaria’s origins explained. Once things get going, though, the plot is rife with spookiness and “dark atmospheric doom metal.” Incorporating the gothic and the William Gibson–esque, the story reveals that many complex things are possible in this world of dream hacking and murder for hire. While lacking the intricate, futuristic pizazz of Gibson’s Neuromancer, this novel features its share of adventures as well as escalating oddities. A sense of suspense is maintained, allowing readers intrigued by an unlikely hero like William to be decidedly curious as to how this caper will end. While thick at times, this tale about a sinister company eventually delivers plenty of atmosphere and action. White (Strands, 2016) examines the narrow difference between justice and revenge in this paranormal thriller. 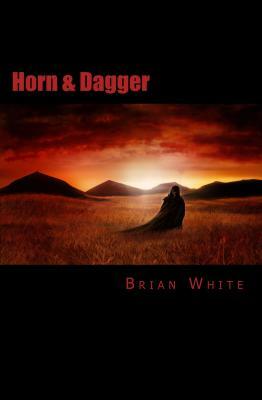 This novel’s reluctant antihero is Trevor, a blacksmith and family man living in a dystopian Western land. Trevor’s happy life is upended when his young son, Jake, contracts a terminal illness. Traditional medicine fails Jake, so desperate Trevor resorts to consulting with the mysterious Coma Witch. She heals Jake, but her price is that Trevor must kill another young boy, Kyle. When Trevor can’t bring himself to do that, the witch murders his family in the most gruesome way possible. This sets the ill-equipped Trevor on a path to retribution: “The souls of his family could not rest until he took vengeance upon the witch, and he could not contemplate how to accomplish that while haunted by their ghostly presence.” The witch taunts Trevor as she draws him across a spectral landscape littered with technologies past. 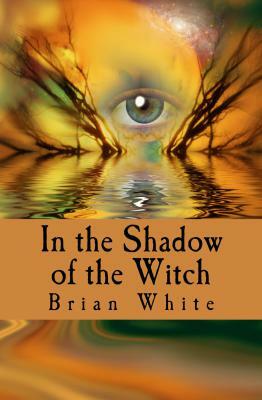 During his pursuit, he meets a shaman, Rakesh, another victim of the witch, who trains him in the use of dark and light forces. His only requirement: “You never give up. You kill her or she kills you. Those are the only two outcomes.” Imbued with the darkta power, Trevor fights the witch’s many surrogates before confronting her in a final battle in her home territory. White admirably chronicles Trevor’s journey from innocent to someone possibly as ruthless as his quarry. As the witch explains, all is not as it seems: “The truth and power of the darkta? There is nothing to fear in it. Its chaos is that which allows light to shine and it is powerful at stripping away facades and illusions.” White’s strength lies in his descriptions of the scarred landscape that Trevor must cross in his quest (“At the road’s terminus stood a white church, black shutters hanging askew like broken teeth in a crooked grin”). But the drawback here involves the book’s grim plot, starting with familicide, then never getting any lighter, and ultimately conveying the message that revenge remains a double-edged sword. In addition, the story lacks a satisfying conclusion, after pages of doom and gloom. A cautionary dystopian tale about the redemptive qualities of retribution. 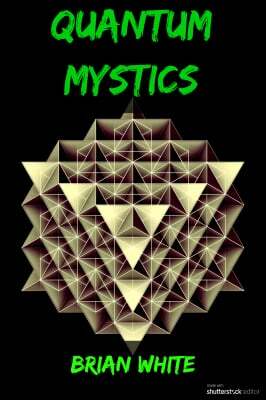 Quantum Mystics: The Lost (working title) is the first in series of books that follows the adventures of a multidimensional mystic on a quest to save the multiverse from destruction. The first draft of Book 1: The Lost is complete, with Book 2: The Forgotten, and Book 3: The Becoming, already sketched out. It is an exciting new project that is still in its infancy, but one that has a lot of excitement, energy, and momentum behind it. Check back for updates, sneak peaks, and quotes! "I am the brain fart of deity. Spit into a meat suite, embodying an idea discarded. I am the lost, the forgotten, the becoming ..."